Appliances such as the Palatal Expander, commonly known as a Rapid Palatal Expander, are used to widen the upper jaw. This will allow the top and bottom teeth to fit together properly. The appliance works best for patients under 15 because up to this age, the bones in the jaw are still flexible. The expander has a screw that attaches to the teeth by bands which wrap around, and it’s activated by turning the screw with a key. As the upper jaw is widened by the expander, it allows a space to develop between the front teeth. This space will usually close by itself within a month’s time. Once the expansion has been successful, the expander will remain in the mouth for about four to six months to stabilize before it is removed. Twin blocks are another appliance which incorporate the use of upper and lower bite blocks. They are used to position the lower jaw forward to correct certain conditions. This orthodontic appliance is starting to be seen more often because it is highly functional. Headgear is another tool we use to make more space for teeth to come in. It can be attached to the upper molars using headgear bands and tubes. This helps to draw the molars backward into the mouth, which will then open up space for the front teeth also to be moved back. The front teeth will be shifted backward using braces and bands. Headgear is most often used for correcting anteroposterior discrepancies in Cl II malocclusions This is meant to slow or stop the upper jaw from growing, and can be used either to prevent or to correct an overjet. The headgear will attach to the upper molars using a facebow. A neck strap or a headcap is used to anchor the headgear to the back of the neck or head. It also has a slight effect on the patient’s speech. While this appliance is installed, it’s recommended you stay away from any hard, sticky food. These foods may break your holding arch. Make sure you’re also brushing all parts of the holding arch along with your teeth. The facemask is an appliance commonly used in the early treatment of Class III malocclusions where the upper jaw is anteroposteriorly (front-back) deficient. It is designed to apply forward and downward traction on the upper jaw. A metal bar acts as a framework to maintain support to the forehead and chin. An extraoral force is applied through two elastics attached to hooks mounted on a fixed intraoral appliance (usually a palatal expander) toward an adjustable bar attached to the vertical framework. Temporary anchorage devices are very small titanium screws (mini-screw) or titanium plates that are placed into the jawbones to serve as anchors to make some complicated tooth movements possible. TADs are removed after the completion of orthodontic treatment. 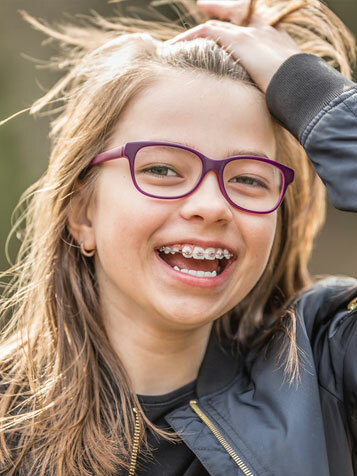 Some tooth movements that are very hard or even impossible without this orthodontic appliance include: intruding an opposing molar to make room for a bridge, uprighting a tipped molar to make space for an implant and distalizing the upper molars to correct the overjet. Placement of TADs is a simple procedure which is performed either by an orthodontist or an oral surgeon or periodontist. Elastics are commonly used with the braces. During various times of treatment, the elastics/rubber bands are used to help individual tooth movement and the aligning of the jaw. They must be worn at all times, especially while eating.